We are at the end of ten very intense DIY space suit days. Tomorrow Cameron Smith and John Haslett are leaving us – but things will never be the same at Copenhagen Suborbitals. 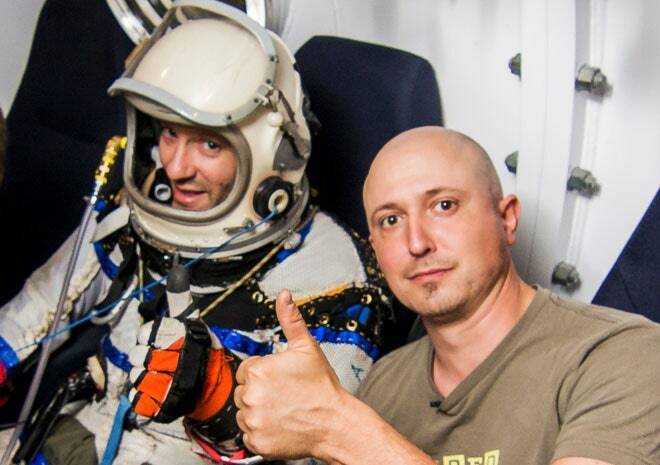 Like I stated last week (in this video) we have certainly moved to a next level in this crazy amateur manned space program – after having been introduced to the space suit and doing all these tests. It’s really hard to describe the intensity and likewise difficult getting a clear picture of all the stuff we have learned and discovered. The latter is mostly a matter of reduced brain power due to the amount of work, thrills and inputs. Sitting in the sun outside our facility, this late afternoon, with Cameron and John we agreed that time was certainly not wasted and we have come a long way. As most other days we did another amazing test – this time visiting the pressure chamber department at the main hospital of Copenhagen. 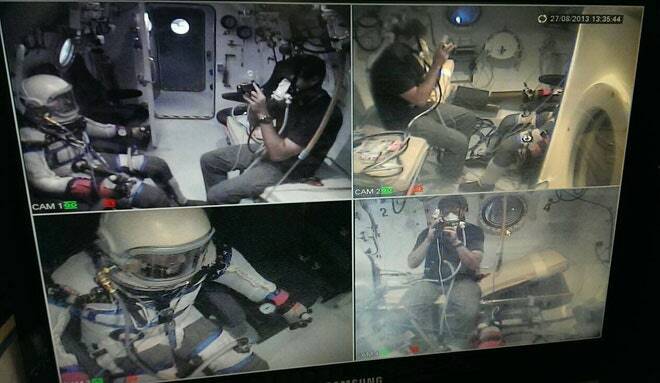 They approved us going into the chamber creating a 0.6 bars of pressure (app going to 13,000 feet) while suited up. Creating your own vacuum chamber might not be difficult but creating fast and reliable systems and operations to get people out in case of an emergency is not. We have to prioritize our time and resources so the best option was going there also assisted by skilled personnel, doctors and what-not. 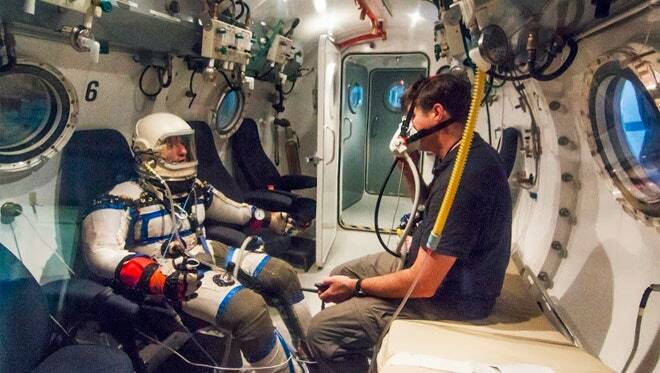 The purpose of the test was not only suit pressure stability and breathing control but also human factors like working in a stressful environment. 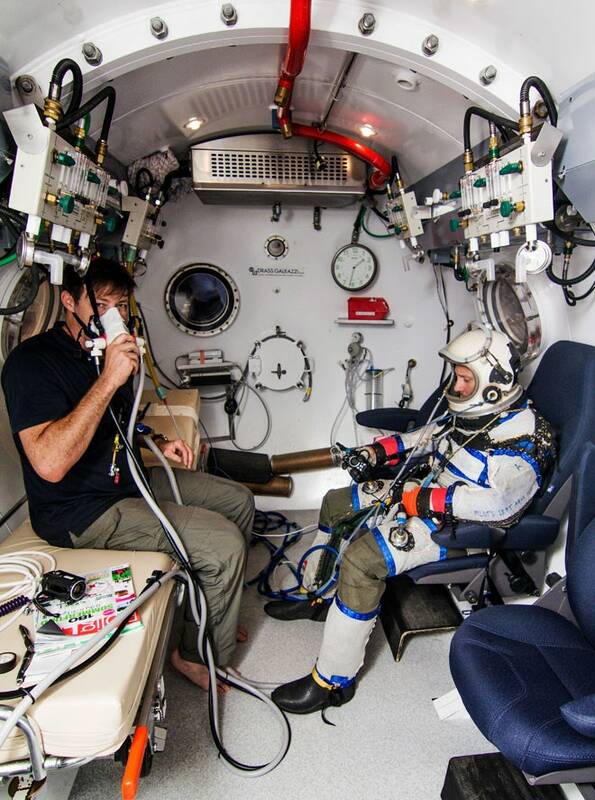 If the suit would do a rapid decompression due to a major malfunction it is likely to cause physiological damages if you are not out within a couple of minutes – and back to normal pressure. Going to 13,000 feet and back on a hiking-trip is not a problem – but having these changes on the body, in a matter of seconds, truly are. The test went well. After suiting up and discussing hand signals and emergency procedures we were all ready. Cameron and John went into the chamber and got connected to the systems which we had prepared earlier with the chamber-guys. Cameron had a bio-sensor on his ear – John one on the finger – measuring oxygen-saturation in his blood and pulse while John was also donned a mask for breathing 50% oxygen. At all times we were able to communicate with Cameron and John, had a bunch of live feeds and got nice bio-readings. Slowly the pressure was dropped reaching 4,000 meters (13,000 feet) while John maintained a steady pressure on Cameron. During this session we observed a severe drop in oxygen saturation from 98 to 90. 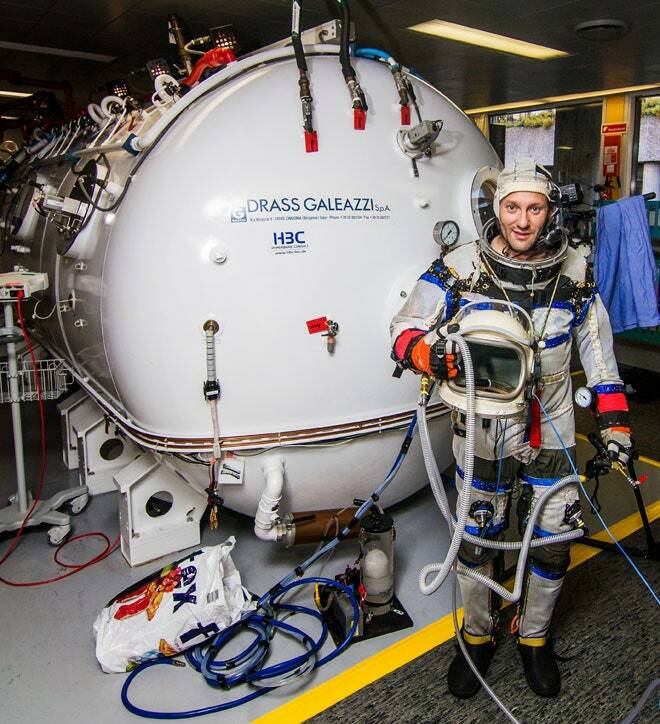 Going below 96 is normally a no-go, but since there were no sign of fatigue, dizziness it was considered to be a sensor malfunction or related to the structure of the suit. When pressure was dropped the oxygen saturation when back up to normal. Later research and literature shows that this is actually normal when exposed for such lowered pressure. But more studies into this area is obviously necessary. Personally I have gotten a specially connection with John and Cameron. These guys are adventures and we share the interest of the human aspect. Most people related to space, participating or just interested in our project only thinks about rocket engines, ISP, guidance, electronics and avionics. Through out my work as an Aerospace Architect I have only met a handful of people who are (truly) interested in the design aspects of capsules, seating, ergonomics and man-machine integration. As an architect working space projects these topics are what I am fully committed to. This is not a complaint but it sure is nice having someone else with the same interest – and working seating and interior design with Cameron and John was a blast! On that account I will miss having them here – but works continues through E-mails, skype-calls and remote sketching as we did before they arrived. We are far from done but have created quantum leaps during this suit-session in Copenhagen. Special thanks goes out to M.D Erik Janzen and the fantastic crew at the pressure chamber. We will be back!